Exercise, sports, movement, and fitness have been a part of Therese's life since she was a child. Growing up in dance/ballet, sports, and cheerleading into college ultimately led her to a degree in Physical Therapy. She has been a P.T. for 25 + years and delved into fitness and wellness about 20 years ago. She became a certified Personal Trainer through NSCA in 1999 and began teaching group fitness classes around this time as well. She currently teaches many formats including Les Mills Body Pump, CxWorx, and Grit as well as Ballet Burn, Studio Strength. She is also certified in TRX, Barre, Turbokick, and BodyAttack. In 2009 Therese became a certified Pilates instructor through Polestar Pilates. 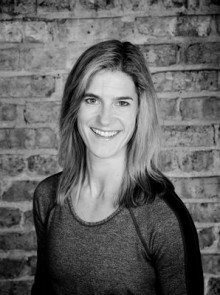 She currently sees clients of all levels at CAC's Pilates Studio 1002 and teaches a Pilates for Back Care class.